Born and raised in Halifax, NS, Coach Williams played minor football with the Halifax Chargers and Nova Scotia Provincial (U16, U19) teams. He then went onto playing three years with Halifax West Warriors and the QEH Lions high school teams as a RB, FB, and LB. At the post-secondary level, he played two years at Champlain College (Lennoxville, QC) and at Mount Allison University. 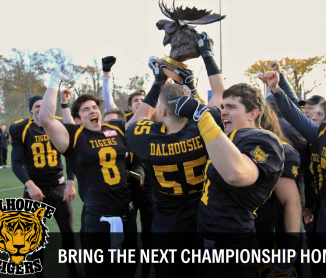 After coaching for two years at the minor level, Coach Williams is very excited to lend his expertise to the Dalhousie Tigers for the 2017 season.